9ct Gold Fire Opal And Diamond Dress Ring. 9ct gold, fire opal and diamond set dress ring. 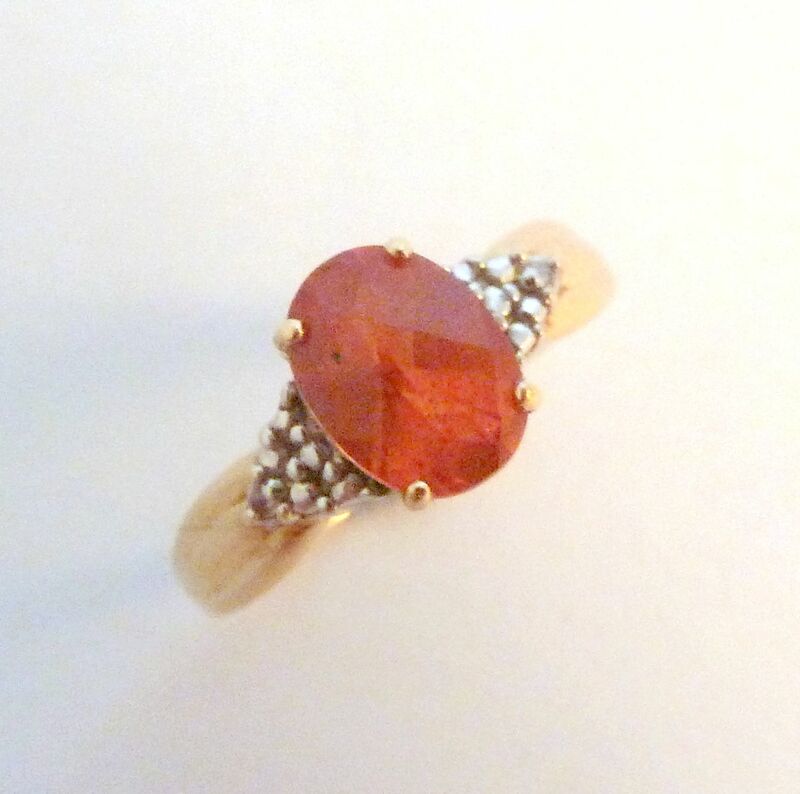 9ct gold, diamond and fire opal dress ring. Featuring a centrally set, faceted, oval shaped fire opal, with diamonds set to either side of the opal. The ring is stamped 375 for 9ct gold and DIA for diamonds. The ring is a UK Size L, US size 5 1/2. Ring Size UK L , US 5 1/2. 9ct gold, Fire opal and diamond. Stamped 375 for 9ct gold and DIA for diamond. A stunning, modern 9ct gold, fire opal and diamond dress ring. French sterling silver triple banded ring with a large centrally set blue opal slice.